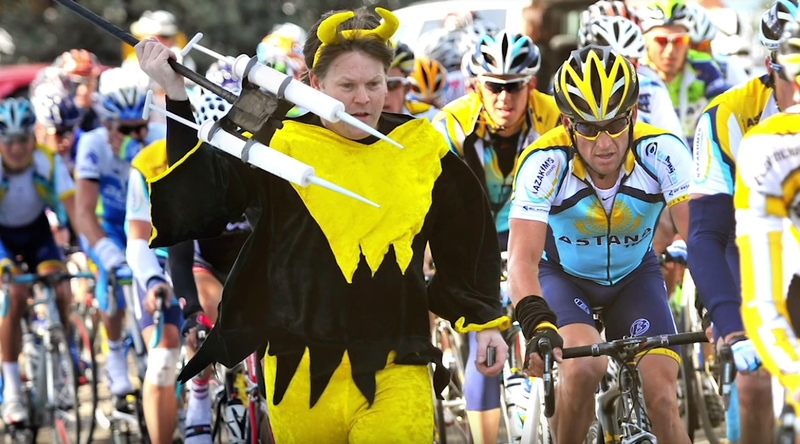 Varying from their auntie’s sweets to having a conjoined twin, our friend’s at the Global Cycling Network have compiled their list of the worst seven doping excuses we’ve heard from professional cyclists over the years. These were all real excuses used by the pros for failing a drugs test! Here are two of the very, errr, best… starting with Gilberto Simoni, who midway through the 2002 edition of the Giro d’Italia tested positive for cocaine and was promptly withdrawn from the race, the day after winning stage 11. The Italian’s defenses to how the recreational drug had found its way into his system were quite imaginative. First, he proclaimed that an anaesthetic from his dentist contained cocaine, and secondly that the positive test came from some Peruvian sweets given to him as a gift by his aunt that he’d eaten and that contained the banned party drug of choice. And who could forget Tyler Hamilton. In 2004, the American rider for team Phonak tested positive for a blood transfusion shortly after winning Gold in the individual Time Trial at the Athens Olympic Games. After originally being able to continue riding as his B sample was frozen he tested positive again at that years Vuelta Espana where he was banned for two years. However, one of the rather fantastical defenses used by Hamilton was that he may have absorbed a twin in utero and is, therefore, a tetragametic chimaera.